Welcome To Parkside Village. 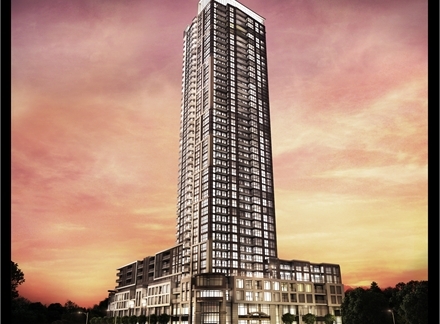 A Modern Condominium Located On The 21rst Floor In The Heart Of Mississauga. 1 Bedroom+ 1 Bath + Den + Living /Dining Room+ Balcony. 655 Sq Ft. Gorgeous Suite Features Stunning 9' Ceilings, Rich Hardwood Floor In Living& Dining Rooms. Custom Closets In All Bedrooms, Call For List Of Upgrades. Steps To Square One Mall, YMCA, Transit, Whole Foods & Much More. Amazing Outdoor & Indoor Amenities. Loretta And Cheryllyn Flower, Sales Representatives, Re/Max Realty Enterprises Inc., 905-855-2200.?